At times it is hard to imagine that a crystal or stone knows and feels what we are thinking and feeling, they do not have a nervous system, so how can they feel? They do not have a brain, so how can they think? They do not behave like humans behave, so how can they have any sense at all of what it is like for us? Well its true, crystals and stones are a very different life form then us, and their dimension of reality is certainly not the same, but who is to say that is their own magnificent unknown way they cannot be sensitive to what we are all about. In my experience in the crystal world, I have witmessed many occasions where crystals and stones not only felt what was going on, but responded in a loving supportive, and even sometimes sacrificial way. Rose quartz being the love stone, the healer of emotional wounds, and the corner stone of the heart chakra, teaching self love and forgiveness. 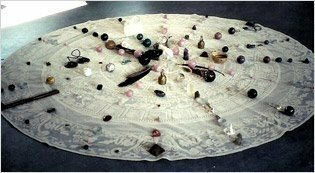 For this reason it is important to cleanse rose quartz often when using it in healing practices. It is one of the New age stones and can take on the sorrows of humans often unto its death. When rose quartz has been hard at work on our heart chakras this stone will become cloudy and dull, losing its natural lustre, this should be taken as a direct sign to cleanse the stone and allow it to regenerate so it can do its job without giving up its life. All crystals are empathic but there are some that specialize in taking on our healing and transmuting the energy into life giving, joyous energy by default. open-hearted from absorbing too much of the pain of others. rock salt crystals or let it rest on a bed of sage and copper until you intuitively know when it is ready to face the world again. And then say, “Thank you”, loud and clear. 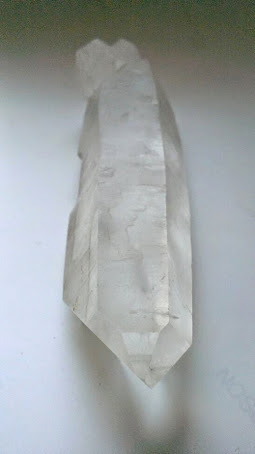 quartz crystal, an Empath is a perfect symbol for the smaller self who is willing to sacrifice itself to the Greater Self. Empaths are outstanding teddy bear stones to tell your troubles. They always, always listen and understand on some level. and what to do about it. They, of course, make great Dream Stones. Symbolizes the smaller self willingly in submission to the Greater Self. Represents your ability to conquer all adversity. One of the best Rescue Stones around. Outstanding a “teddy bear” stone. Helps alleviate feeling of loss, fear, and grief. A good tool to use when working with addictions of any kind. Helps release anxieties and fear of being unlovable. Balances both Yin (female) and Yang (male) energies. An excellent tool for working with all ego-related lessons. Helps you work with depression. Excellent choice during times of change and transition. Highly recommended for anyone who has been abused in any way at any time. Helps you become more open to others, but a reminder to not take on their pain if you really want to help them.